Eco-Friendly Water Bottles w/ interchangeable sport and travel tops, carabineer and gift box. Who says you can’t take it with you? On a hike, on the go, around town or around the world, this lightweight, durable water bottle can go with you. Take your images with you and show ‘em off wherever you go. Useful and fun, these water bottles are a must have…. 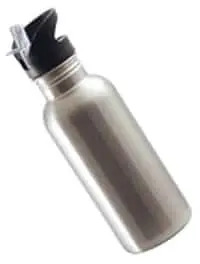 Item SBOT-600SSS * 600 ml – These stylish stainless steel silver water bottles come with a flip top for easy sipping. A straw insert keeps your favorite cold beverage flowing. these are perfect for joggers, athletes, company promotions, educational fund-raisers and everyday use. 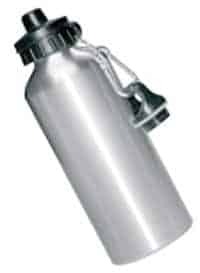 Item SBOT-600SSW * 600 ml – These stylish stainless steel white water bottles come with a flip top for easy sipping. A straw insert keeps your favorite cold beverage flowing. these are perfect for joggers, athletes, company promotions, educational fund-raisers and everyday use. 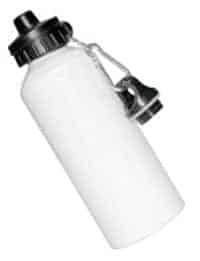 Because water bottles are slimmer than most mugs, they will not fit in some mug presses. 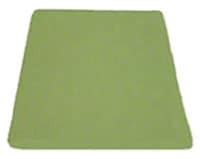 If this is the case, heat conductive pad(s) may be required in order to press properly. Pressing time may vary. Please refer to the instructions below for the specific mug press that applies to you. Insure that the water bottle fits within the heat band of the mug press and does not have any gaps. |Wrap the bottle with plain white paper. Place the bottle in the press for 120-180 seconds. Remove the bottle from the press and remove the transfer immediately. 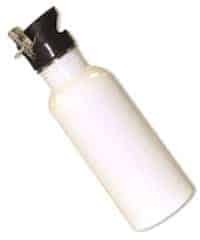 Place the bottle at room temperature to cool to stop the sublimation process. Knight DK3 Mug Press with Heat Shields (no idle time) Press 400F; Time 180-210 seconds (increase time for more saturation) If the image begins to look blurry, or burnt brown by over-pressing, decrease pressing time by 15-30 seconds. A Heat conductive Pad (Item DK3-PAD) will be required to wrap around bottle in order for the bottle to fit in the press. 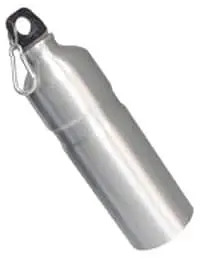 Wrap heat shield around water bottle and press. Remove the bottle from the press and remove the transfer immediately. Place the bottle at room temperature to cool to stop the sublimation process.